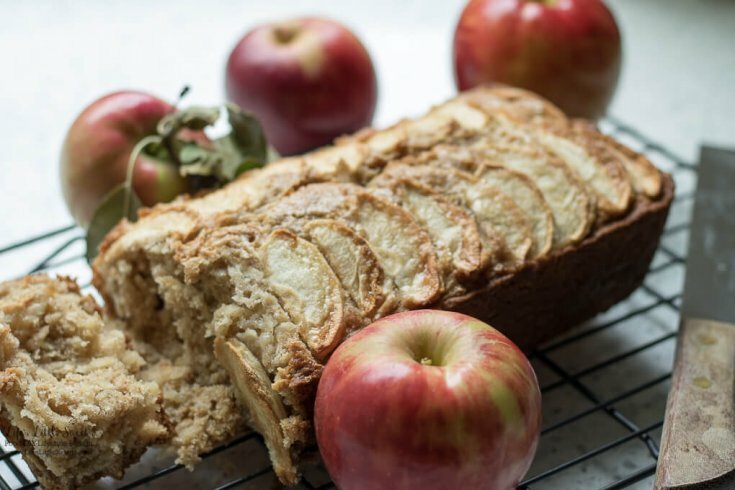 Homemade Apple Quick Bread is a Fall-inspired recipe with aromatic flavors like cinnamon, nutmeg and fresh-picked apples. 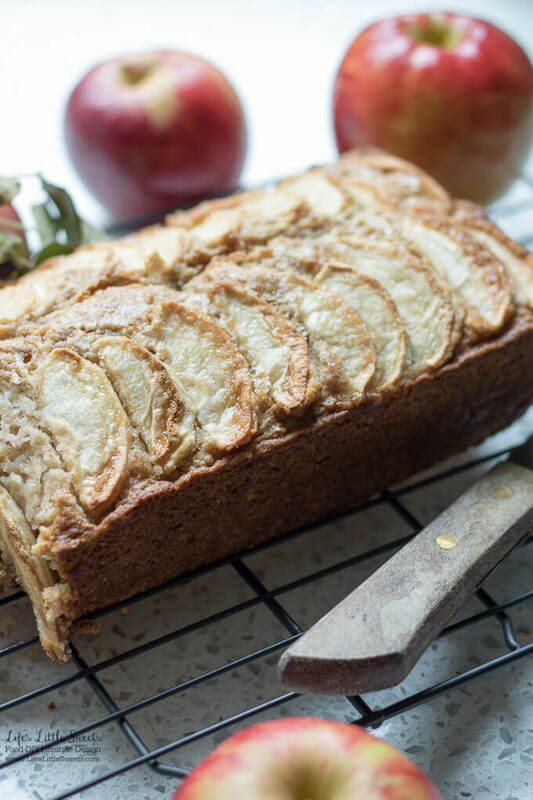 Have a delicious slice with your morning coffee or tea. Hi Everyone, are you enjoying all the fresh apples so far this season? 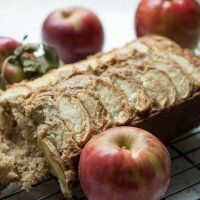 There is nothing like getting fresh picked apples from the apple orchard like I did to make this Homemade Apple Quick Bread. 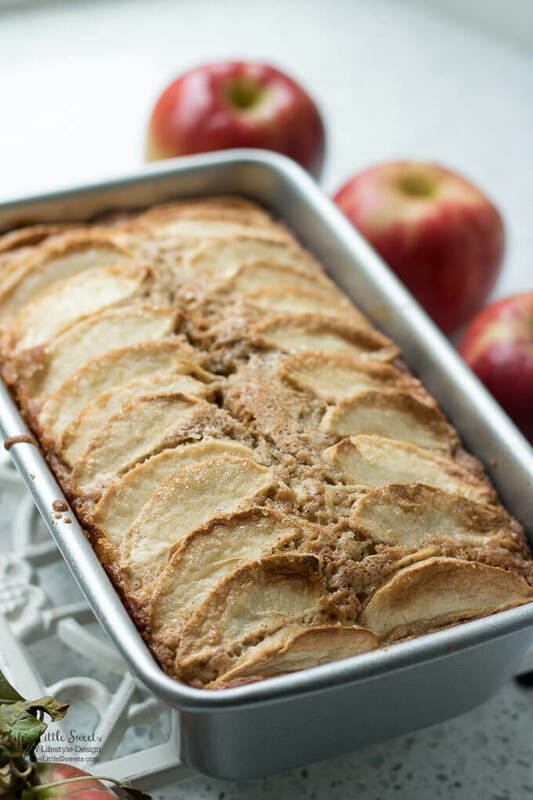 To see all of our “Fall” recipes on LLS, visit here. 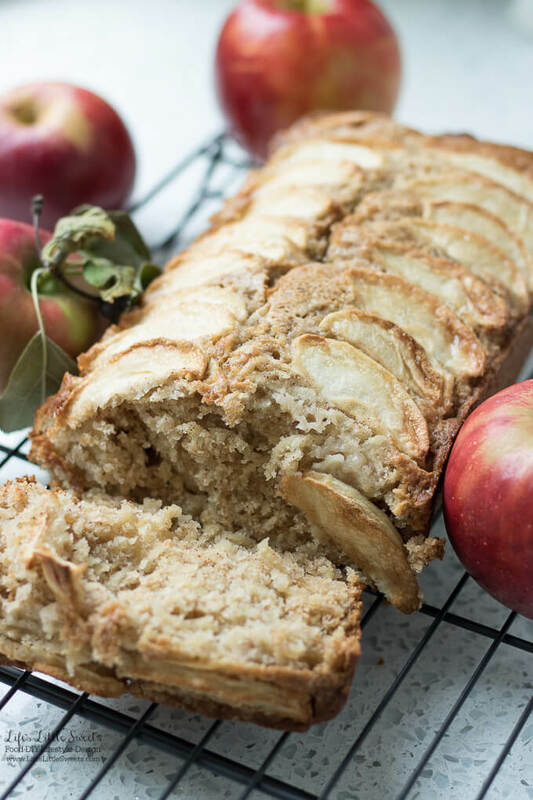 This is one recipe that I wanted to make after I took my daughter apple picking early this Fall. To see all of our “Apple” recipes on LLS, visit here. 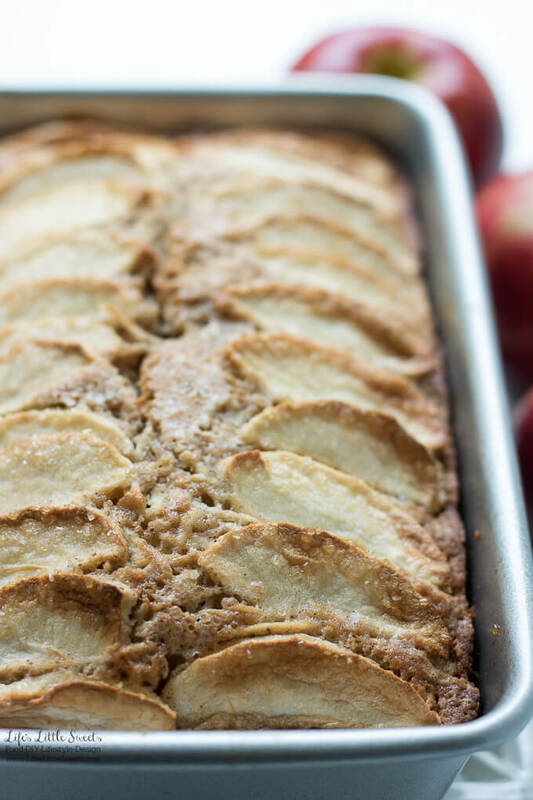 I have so many upcoming apple-themed recipes to share with you too! 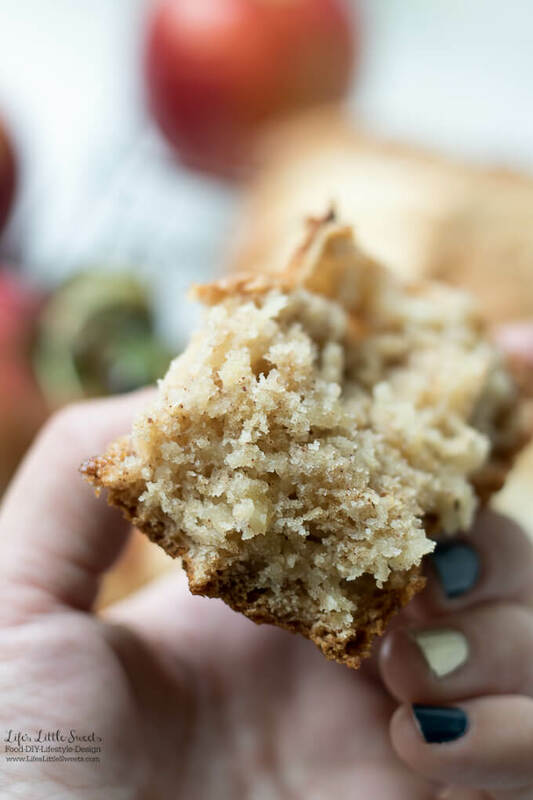 I know you will love this Homemade Apple Quick Bread! Using cooking spray, grease a 8 x 4 x 2 inch loaf pan, set aside. In a large mixing bowl, combine the all-purpose flour, cinnamon, baking soda, Kosher salt, baking powder and ground nutmeg, set aside. In a large mixing bowl, combine the egg, granulated white sugar, peeled and shredded apples and Canola oil. Add the wet mixture to the dry-ingredients mixture. The batter should be lumpy and not over-mixed. If you wish to add the optional nuts, fold in, until mixed. 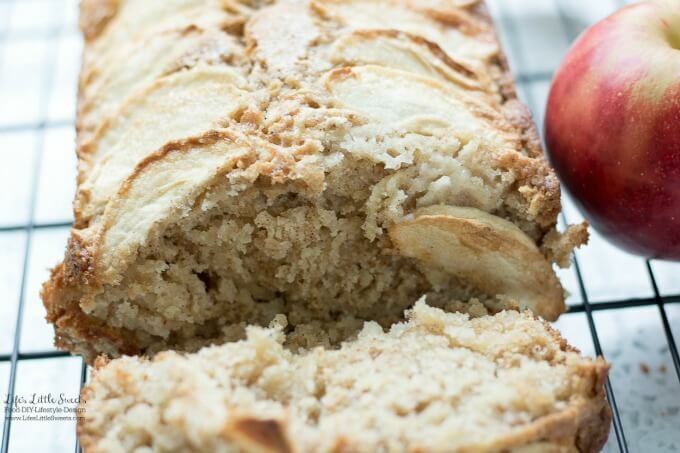 Pour into the greased loaf pan. Bake in the pre-heated oven for 50-55 minutes. To test for doneness, using a toothpick or knife, insert and it should come out clean. Cool in the pan, in a wire rack for 5 minutes, then remove from pan and cool completely before slicing. Enjoy! 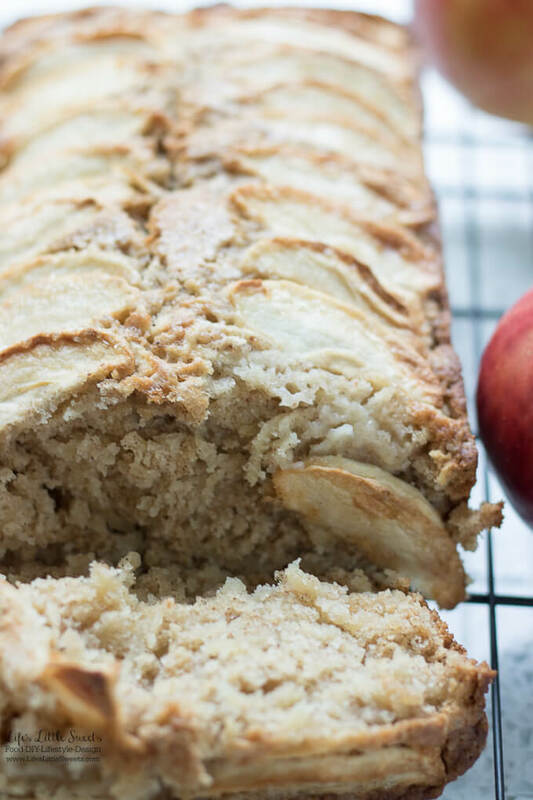 This recipe requires an 8 x 4 x 2 inch loaf pan. 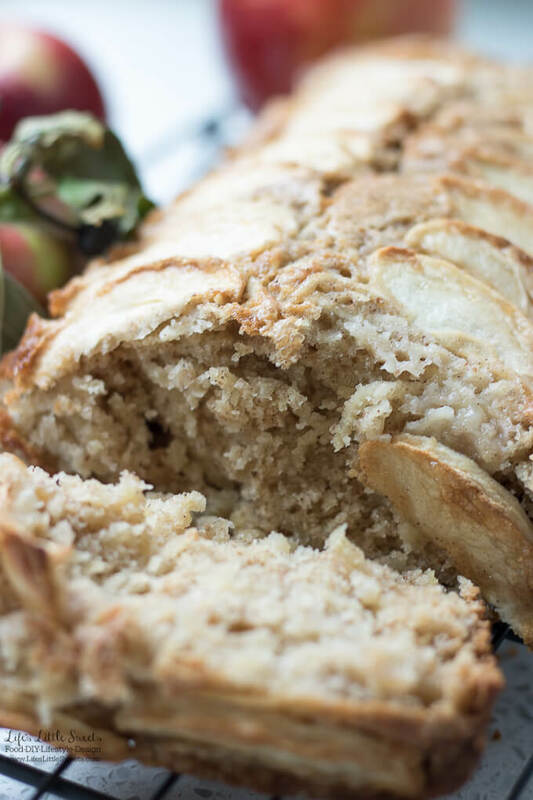 This recipe is inspired by Homemade Zucchini Bread Recipe, here on LLS.